For the first nine months of 2012, the Fiat Industrial Groups revenues totaled €18.8 billion, a 7.5% increase over the prior year, with strong top-line growth for CNH more than offsetting declines for Iveco and FPT Industrial. CNH reported revenues of €12.0 billion for the first nine months of 2012, an 18.5% increase over the same period in 2011 (+7.9% in US dollar terms). Revenues were higher for both Agricultural and Construction Equipment, as a result of good demand for Agricultural Equipment and increased demand for Construction Equipment during the first half, especially in North America. Net sales increased 22.0% (+11.0% in US dollar terms) for Agricultural Equipment and 12.0% (+1.9% in US dollar terms) for Construction Equipment. FPT Industrial reported revenues of €2.1 billion for the first nine months of 2012, an 8.8% year-over-year decline primarily attributable to lower volumes. Sales to external customers accounted for 33% of total revenues (32% for the same period in 2011). For the first nine months, the Fiat Industrial Group’s trading profit totaled €1,641 million (trading margin: 8.7%), representing a 27.1% increase over the €1,291 million for the same period in 2011 (trading margin: 7.4%), driven primarily by higher volumes for CNH and efficiency gains for both Iveco and FPT Industrial. Trading profit of CNH totaled €1.3 billion (trading margin: 10.8%), up €370 million over the €930 million trading profit for the first nine months of 2011 (trading margin: 9.2%), as higher revenues and positive net pricing compensated for increased SG&A and R&D costs. Iveco closed the first nine months with a trading profit of €301 million (trading margin: 4.8%), compared to €329 million for the same period in 2011 (trading margin: 4.9%). FPT Industrial reported trading profit of €78 million for the first nine months (trading margin: 3.7%), compared to a trading profit of €57 million (trading margin: 2.5%) for the corresponding period in 2011. The improvement reflects the absence of one-off costs recognized in 2011 in relation to production start-ups and efficiencies achieved during the first nine months of 2012. For the first nine months, operating profit totaled €1,501 million, a €265 million increase over the same period in 2011 (€1,236 million). The €350 million increase in trading profit was partially offset by higher net unusual expense (€140 million compared to €55 million for the first nine months of 2011), which primarily related to restructuring costs for Iveco. For the first nine months, net financial expense totaled €328 million (€374 million for the same period in 2011). Result from investments contributed a positive €66 million, down over the €74 million for the first nine months of 2011 due to lower earnings for joint venture companies. Profit before tax for the period January-September 2012 was €1,239 million, compared to €936 million for the same period in 2011. Income taxes totaled €479 million for the first nine months of 2012 (€379 million for the same period in 2011) and mainly related to taxable income of companies operating outside Italy. The Fiat Industrial Group closed the first nine months with a net profit of €760 million, up from €557 million for the same period in 2011. Profit attributable to owners of the parent was €662 million for the first nine months, compared with €501 million for the same period in 2011. Equity attributable to owners of the parent, Fiat Industrial, at September 30, 2012 is €4,960 million compared to December 31, 2011 (€4,555 million). At September 30, 2012, consolidated net debt totaled €16.9 billion, up €2.3 billion from the beginning of the year (€14.6 billion). Net industrial debt increased €1 billion during the first nine months to €2.2 billion. The €1.3 billion in cash generated by operating activities (net of the change in working capital) was more than offset by investments in fixed assets (€0.8 billion) and working capital absorption (€1.3 billion). (a) Includes fair value recognition of derivative financial instruments. On October 15, 2012 Fiat Industrial S.p.A. was advised that the Special Committee of the Board of CNH Global N.V. had determined not to recommend the strategic combination of Fiat Industrial and CNH on the terms proposed by Fiat Industrial on May 30, 2012 (the “Proposal”). 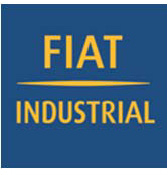 Fiat Industrial has asked its advisors to meet with the advisors to the Special Committee to determine the basis for this decision and explore whether the parties can reach agreement on revised terms for a merger transaction on a basis broadly consistent with the Proposal, including the requirement for the Group to maintain appropriate credit ratings, attract a wider range of international investors and ensure an appropriate platform from which to pursue future growth opportunities. Fiat Industrial reconfirmed to the CNH Board that it desires to move forward with a transaction promptly.